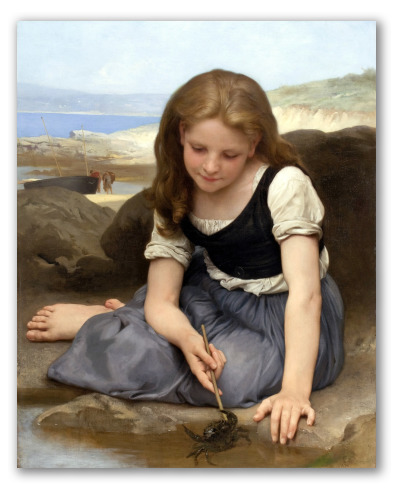 "The Crab" by W. A. Bouguereau, Oil-on-canvas painting. Painting entitled "The Crab", completed in 1869 by William-Adolphe Bouguereau. 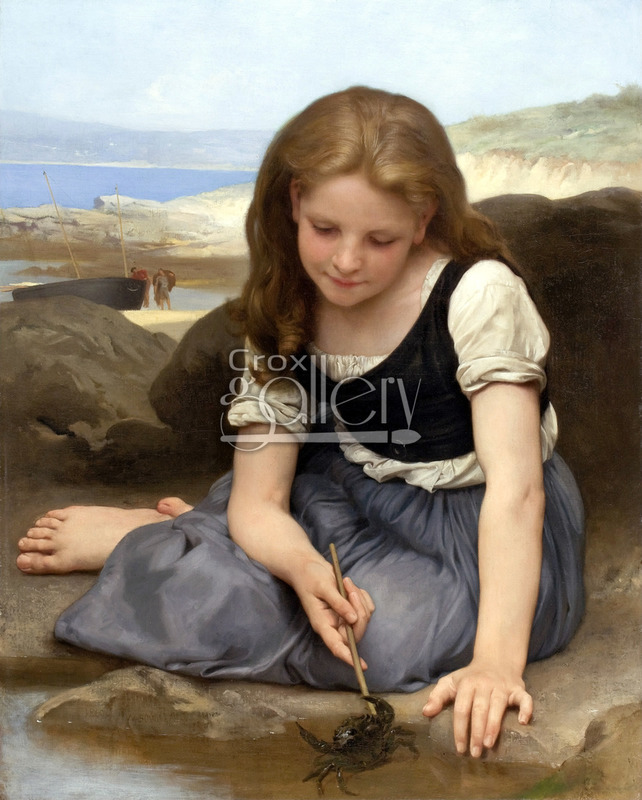 It depicts a young girl playing with a small black crab at the beach. The horizion over the sea and a boat with fisherman can both be seen in the background. This work belongs to a private collection.